Parents are just as flawed and complex as everybody else, and no matter how hard we try, our negative traits are going to affect our children in one way or another. Gaslighting is an especially egregious form of psychological abuse and one that’s pretty darn complicated because the person doing it is usually totally oblivious to their own behaviors. When you gaslight your child (or anyone else), you’re essentially setting them up to make them feel angry or upset — and then manipulating them to make them believe they have zero reason to actually be emotional. “Gaslighting in practice is often subtle and can be difficult to detect, especially in the context of parent-child relationships, where imbalances of power are often a taken-for-granted norm,” authors Damien W. Riggs and Clare Bartholomaeus state in a February 2018 study from Flinders University in Australia. In other words, you make them feel — over and over again — like they’re going crazy. “Having your reality questioned has got to be the most damaging thing out there, because our reality and the way we think about the world is kind of all we have,” Dr. Ben Michaels, a clinical psychologist in New York City, tells Health magazine. The word itself comes from a 1938 play called Gaslight in which a husband dims the gas-powered lights in their home every evening and then vehemently denies it when his wife asks about the change she notices. What does the antagonist get out of such a ridiculous game? A feeling of control and power. According to Healthline, people who gaslight other people in their lives may have a psychological disorder called narcissistic personality disorder. A person with this type of mental disorder has an inflated sense of self and needs and craves attention but may secretly feel vulnerable and ashamed of themselves — she or he also feels intense hurt when someone criticizes them, which explains why it’s often so difficult for narcissist parents to even realize they are gaslighting their kids. 1. You exaggerate every conflict: There’s never a small issue; every single thing your child does wrong causes you to fly off the handle and react. Whether your toddler lied about going potty or your teen lied about stealing the car, both can set you off in a way that makes your children question whether there is any sense or logic to your anger. As a result, your kids may purposely begin keeping more from you because they never know what’s going to set you off. Or they may begin lying to avoid the constant put-downs because they may feel as though they can’t do anything right — two warning signs of being a victim of gaslighting detailed in the book The Gaslight Effect: How to Spot and Survive the Hidden Manipulation Others Use to Control Your Life written by Robin Stern, associate research scientist at the Child Study Center at Yale. 2. A meter maid is more flexible than you: You will not allow for any changes in your household routine, no matter how small. You need to feel completely in control of your environment at all times, which sometimes means you get unreasonably angry when your toddler refuses to take his nap at the hour that is best for you and your needs. This could lead your child to feeling like everything they do is wrong, one of the signs of being gaslighted in Stern’s book. 4. You overassert your power: As the parent, you’re already the one in control of mostly everything, but that may not feel like enough for you. The moment you sense your child is flexing their wings and asserting control, you feel fear that this could mean they may one day not need you — or may no longer view you as the center of their universe. You combat this by talking crap about all their friends, none of which you think are “good enough” for them, and continually sending your child the message that they are helpless without your guidance. This in turn isolates your child from friends and family — another sign of gaslighting in Stern’s book. 5. You insist you know your children better than they know themselves: No one, not even your frustrated kid, can convince you that you may actually be wrong about their feelings and intentions. If you have it in your mind that they are responding a certain way because they’re angry or sad, you’ll tell them they’re lying or that they aren’t grown-up enough to understand. Trivializing how your child feels instills doubt in their sense of judgment and memory — another sign from Stern’s book (constantly second-guessing one’s self). 6. You never apologize to your kids: Saying I’m sorry, to you, is the equivalent of surrendering all your power and having no worth as an individual. 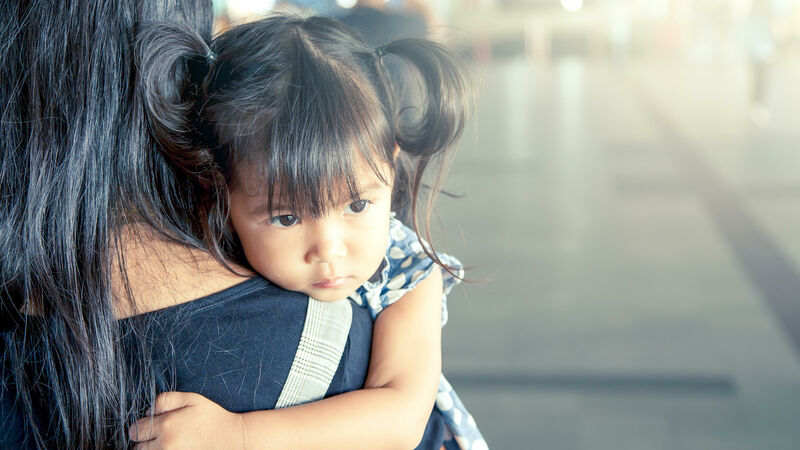 As the parent, you feel you never need to apologize and will typically wait as long as it takes for your child to come to you after a conflict — no matter who is actually at fault. “[Gaslighters] have to be right about everything. Someone’s got to be wrong, and that is not going to be you,” Dr. Jeremy Sherman, a social science researcher and blogger at Psychology Today, told Health magazine. Never owning your mistakes sends your kids the message that they can do very little right in life and that they aren’t worthy of an apology.